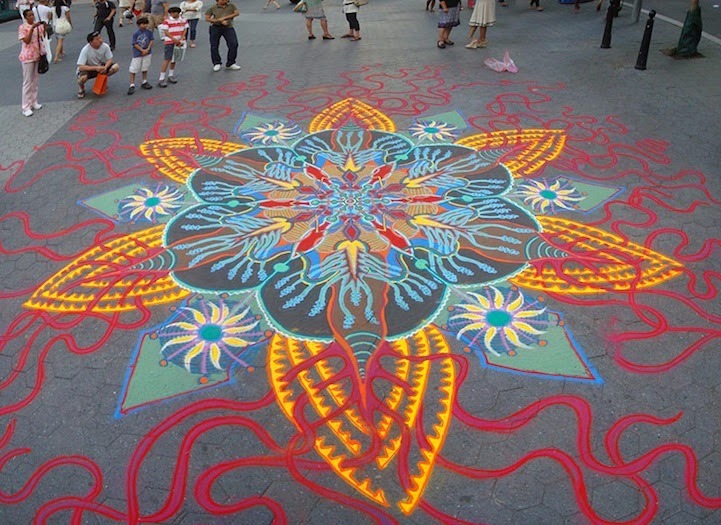 New York-based visual artist Joe Mangrum creates colorful sand paintings on the floor that exhibit spectacular designs. Each improvised creation is a spontaneous work of art that Mangrum produces entirely by hand. Each mound of the pigmented grains are poured from the palm of his hand in spiraling, spiking, and swooping patterns that evoke a sense of rhythm.